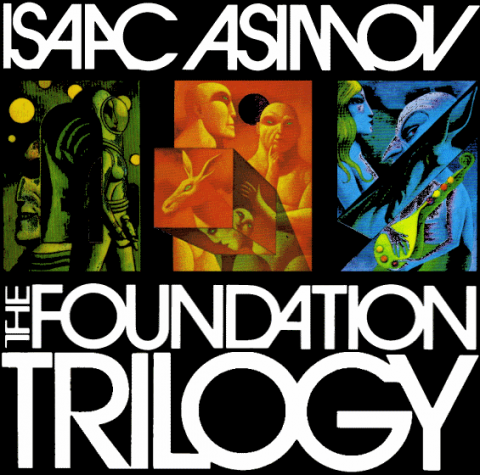 Eventually, the BBC decided to adapt Asimov's trilogy to the radio, dramatizing the series in eight one-hour episodes that aired between May and June 1973. Years later, you can buy the radio drama on iTunes for $9.99. But we're going to suggest that you pocket that hard-earned money and download the radio drama for free from the Internet Archive. Or the free Spotify version above. Feel free to access the media via these links: Free Stream - Free Zip File - Spotify. You can stream the program in its entirety right above. Click the links below to stream the individual episodes. Or download the full program as a zip file (which otherwise appears in our collection of Free Audio Books). The Internet Archive gives you more download options here. A BIG THANK YOU!! for this. I have spent a year reading just Assimov’s books, from the Robots series to the Fundations, now I just bought The End of Eternity. Love them! will this be in spau00f1ish? anyone knows? Why would the BBC adaptation be public domain? It’s programmes are copyright in the UK, which makes it pretty much copyright anywhere else, surely? If you know it’s for sale, why recommend stealing it? Good question. Jock123!! I ask the same, with a little self-interest, as I directed it, created the electronic sounds and edited the whole thing. It is, of course, stealing and in my case, as I never get even one penny of royalties, it is stealing from me! !